You may also request any back issues, also free!! Would be either Rosita, or Green Pastures cod liver oil, which you can find in stores or online, or you can order from me the sage seed oil that I take; NatureSage Omega 3 (currently available in Europe and Israel. Formerly sold in Canada and the USA, still somewhat available in the US). 35.oo for 60 pills of 1000mg or 50.oo for 100 mL liquid. Just contact me for details. ​My Book Updated refreshed and rewritten for 2019!! 21 chapters, including chapters on Men's health, Women's health, a chapter on How to Eat, How to lose fat and weight (the metabolism chapter), Cellulite, Anti- ageing, Immunity, and a lot more. 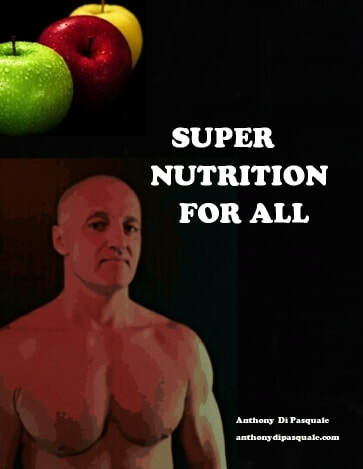 150 pages of awesomeness that lets you be your won health guru and nutritionist!! I ask that you reserve the book's use for yourself, please. It represents a LOT of work, time, and effort on my part, so I would really rather not people shared it. If you like the book and feel someone would benefit from the information in it, tell them about it, and they may purchase their own copy. I don't have a crack team of lawyers, or even one lawyer on crack, so I ask this of you all, on an honour system. As soon as I receive your $25, I email you the book. It's an E-book for now. 2. I signed up a PayPal account, so you can also email me a PayPal payment too, though the email interac is feeless, which I prefer.